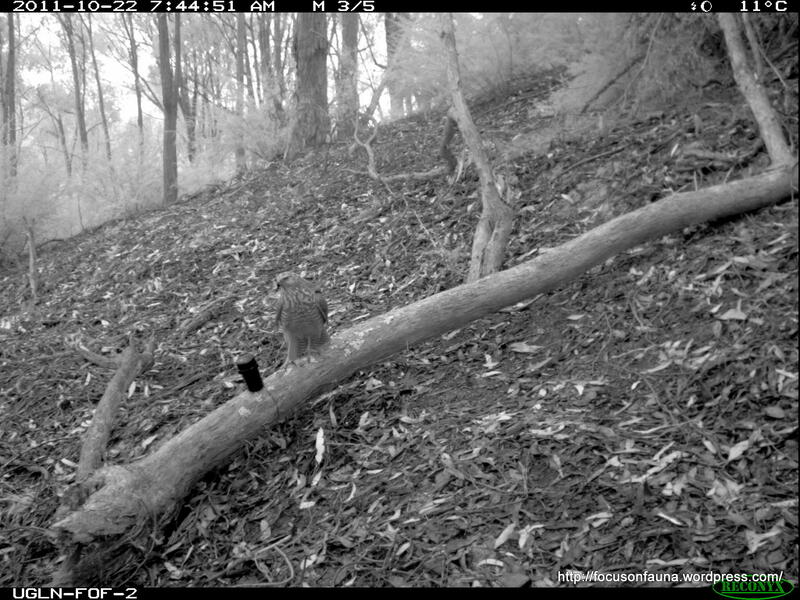 This Brown Goshawk was photographed by a remote camera installed on a densely vegetated property at Junction Hill, north of Flowerdale – the same location where a Superb Lyrebird was recorded in August (click HERE to see previous post). 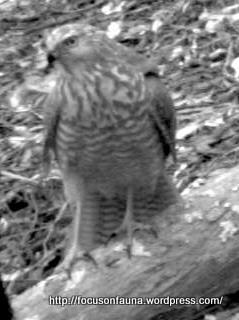 The bird’s prominent brows and robust body and legs would seem to identify it as a goshawk, rather than the similar but finer-bodied Collared Sparrowhawk, which also has a significantly longer middle toe . The streaked head and upper breast, and broad ventral stripes would indicate this is an immature bird. A Brown Goshawk (possibly the same bird?) was observed flying low over the property 3 days later, during a standard bird survey conducted when retrieving the camera. ← A minor problem for a skink?